Fortunately, we do have the ability to study our dreams and interpret the common dream symbols they contain. Although there aren’t always hard-and-fast universal definitions, the following dream meanings offer a sound starting point to understand your own personal dream meanings. Every night during sleep, most of the individuals have around 5 dreams periods, which can last for about 15 to 40 minutes. Most of the time, we forget our dreams as soon as we wake up. But sometimes, we can still remember the things we dreamt about. The house represents our mind. It usually refer to our emotions, memories or personality depending on the state of the house. It also symbolizes security and comfort. Often we are afraid of dreaming about teeth because of its traditional interpretation as the death of someone we love. Rotten teeth symbolize fear and anxiety. Pulling of teeth means that there is something that needs to come out. While teeth falling out means that you will be dealing with a new situation that may cause you trouble or stress. Dreams of flying usually symbolize that you will free yourself from some stressful situation. Flying is associated with freedom and success. Flying also sometimes refer to the desire to achieve our ambitions. In the world of dreams, death is noticed negatively by many people. In real life, this death is connected to some dramatic changes that needs to happen within ourselves. Death means something will end or will change in our lives, especially when it comes to our emotions. Many can symbolize to luck, value, and self-worth. But it depends on how dream goes. When you win a lottery in your dreams this means that you need to make big changes within your lifestyle. On the other hand, if you dream of giving money, it indicates that you have the fear of losing something you value the most. This is sign of purity and cleansing. It is often taken as a good omen. Waterfalls symbolize new beginnings and new doors of opportunities will open. Fire is also recognized to have negative meanings when it comes to dreams. 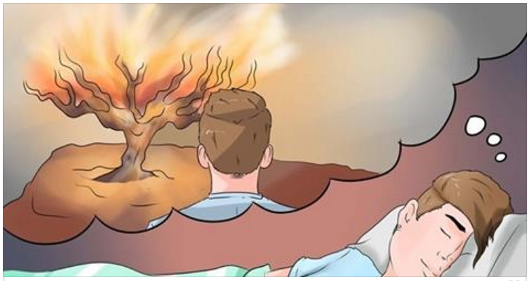 But the fire has different explanations based on how it appears in your dream. Playing with fire in your dreams is an indication that risky activity or a dangerous situation is about to develop. Starting a fire means you will deal with repressed anger. While seeing a distant fire means transformation and desire.